be re-examined in the new context of continuously networked commodity devices and Internet-scale epidemics. 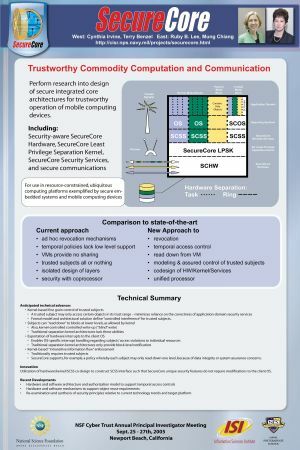 The broader impact is to provide the scientific basis for trustworthy computing, communications and storage in pervasive computing environments. 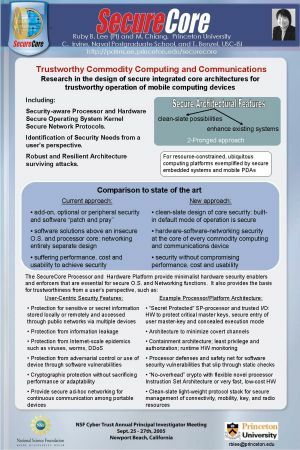 SecureCore impact will be immense if its architecture influences the design of future trustworthy commodity products, as well as the curriculum for computer hardware and software engineering education.